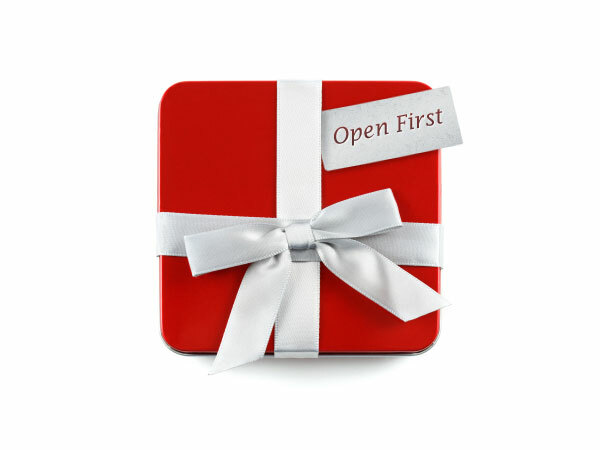 On Christmas morning, you may discover a present for you that is marked – open first. A feeling of excitement and wonder fills your mind. What is in the package? Among all the presents, why must you open this particular one first? Truthfully, the most important gift arrived early that morning. Not a thing, but a person; a gift that literally cries out to be noticed first. The child Jesus, the author of this eponymous holiday, draws you near. The gift of Christ is life–altering. Ironically, one does not open this present, but becomes open to it. This openness characterized the search for God by a young Jewish professor in pre–war Europe. Dr. Edith Stein possessed a brilliant mind. The compass point of her powerful intellect was directed toward the search for truth. Christian virtues and the strength and hope of the faith itself were displayed before Edith through numerous incidents of joy and sorrow experienced by Christian colleagues. Then, after deep meditation on readings surrounding the life of Saint Theresa of Avila, she discovered the truth for which she had searched. With her conversion to Catholicism, she eventually entered the convent. Later on, her sister would follow her into the religious life. Following the statement of the Dutch bishops condemning the anti–Semitism of the Nazis, Hitler ordered the arrest and the interment in concentration camps of all of Jewish heritage in Holland. Edith Stein, now Sister Theresa Benedicta of the Cross, and her sister were sent to their deaths. She once said, "Let us put our hands in those of the Divine Babe, let us say our Yes to the invitation 'Follow me," and we will be his. The way will be clear for his divine life to become incarnate in us. It is precisely this that is the light come through the darkness, a light kindled in the soul, the miracle of Christmas." Some years before her arrest, she had the opportunity to escape to South America, but she remained to serve her people and to serve the Light, the Babe of Bethlehem. There is a Christmas story recounted by Brad Steiger and Mary Hansen Steiger in their book, Christmas Miracles . In paraphrase, the story told of a husband and wife who, one Christmas Eve, were playing the role of Santa and Mrs. Claus. They visited the retirement home where the husband's grandmother resided. There was a very old man sitting motionless, his daughter standing beside him. The wife, in the role of Mrs. Claus, approached the elderly man. She bent down and placed a candy cane in his weak hand. Then, she halted and said to the unresponsive man, "You don't want an old candy cane from Santa. How about a little kiss from Mrs. Claus?" She gave him a kiss on the cheek. The old man looked up at her and smiled. His daughter began to sob. She said that her father had been in that home for eight years and this was the first time that he had shown any emotion or even awareness of what was happening around him. Once again, the light of Christ pierced the darkness. Once infused with the presence of Jesus, the heart, mind, and soul ignites with a flame of a new light, a new focus, and a new direction in living. To be "Christ–like" is to reflect the divinity in our humanity, the continuing "re–incarnation" of Christ's presence in the world through his Church. Let us reveal his presence with each day we are given. I pray that an abundance of Christmas blessings may be with you and your loved ones. Open first the gift of Christ and the wonder of life will be yours.